This post was sponsored by ConAgra Foods. 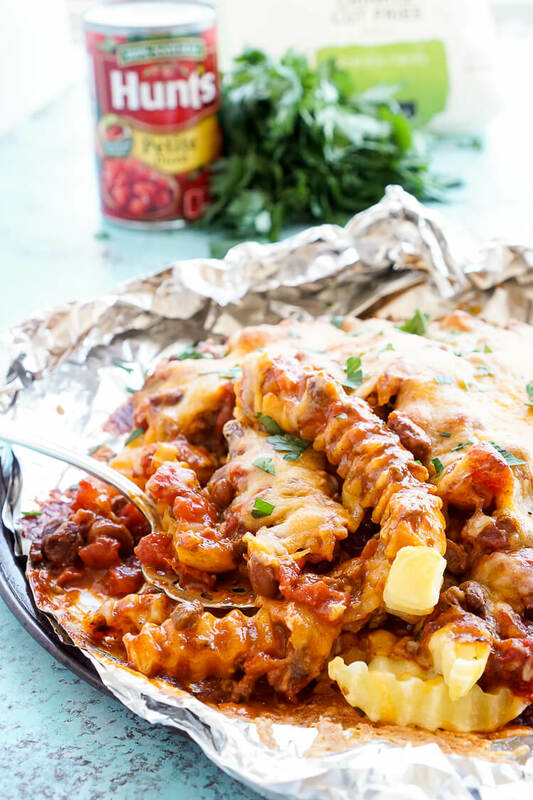 These Grilled Chili Cheese Fries are a quick and easy summer dish the whole family will love! We all have our favorite comfort foods, and a lot of them tend to vary with the seasons. You’re not likely to see me sipping eggnog in the summer; instead, I’ll be scarfing down some chili cheese fries! 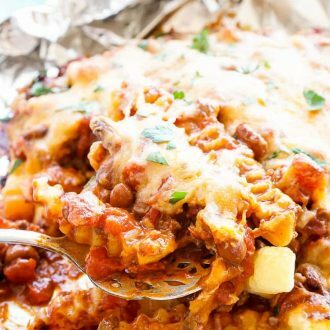 Anytime you put chili and cheese together in a dish, I pretty much can’t say no. And when you load it onto something like a hot dog or fries, you can guarantee I’ll be back for seconds! I found this really easy and tasty recipe over at Forkful.com, where ConAgra is hosting the #GreatAmericanCookIn! If you love cooking and learning new tips and tricks for the kitchen, I highly recommend you pledge to take this challenge and get a little creative this summer! By cooking in and meal planning, imagine all the time and money you’ll save for fun summer activities! 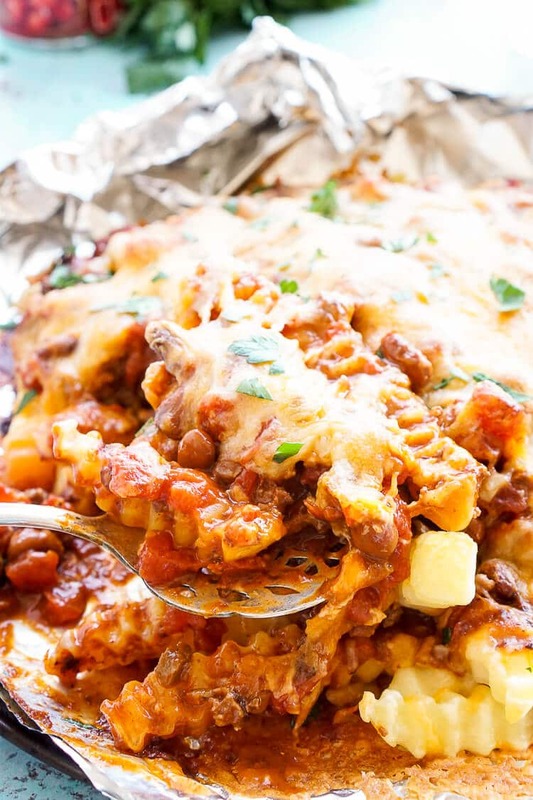 These Grilled Chili Cheese Fries are super simple to make. 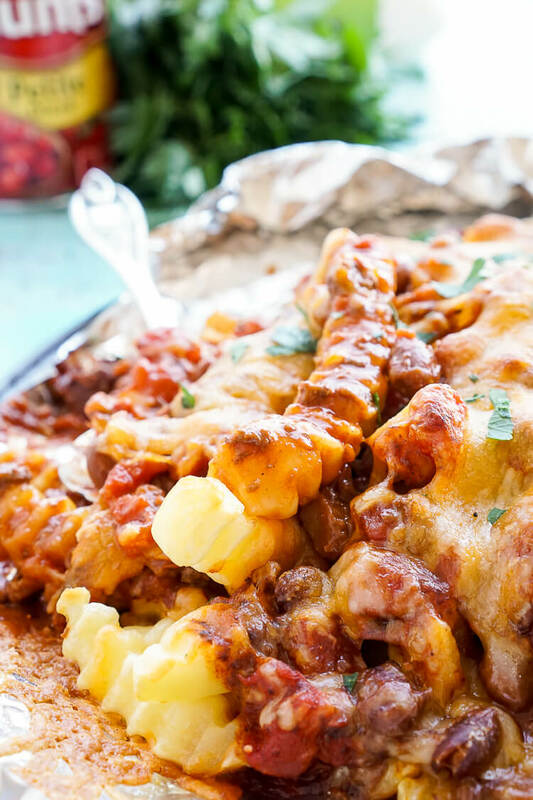 You just need some aluminum foil, a grill, and a handful of products, and you’re well on your way to some great ballpark food at home! Did I mention these were made on the grill? GENIUS! But there is an oven prep option just in case! I mean, just look at all that melty goodness! 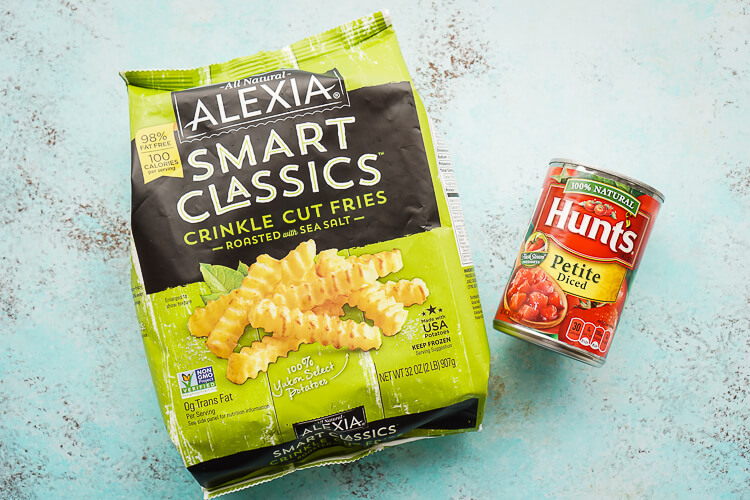 With ingredients like Alexia French Fries and Hunt’s Diced Tomatoes, you’re sure to leave no fry behind! Preheat gas grill for medium-high heat. Overlap by three-fourths two 18x20-inch pieces of heavy foil on the counter; coat with cooking spray. 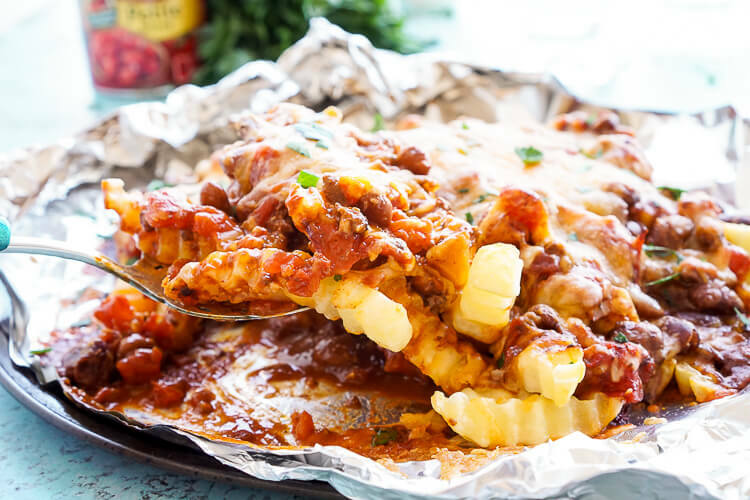 Place fries in the center of foil. Stir together chili and drained tomatoes in medium bowl. Spread mixture evenly over fries; top with cheese. Double fold top and ends of foil, leaving space for steam to gather. Carefully place packet on the grate; cover grill. Grill 25 minutes or until fries are tender and cheese melts. Oven option: Packet may be baked on shallow pan in 425°F oven 30 minutes or until fries are tender and cheese melts. Find more tools for success at Forkful.com, including a guide to planning meals ahead of time, grocery shopping tips, recipes, and more. Don’t forget to pledge to participate in this one-week challenge by using hashtag #GreatAmericanCookIn on Twitter or Instagram! Visit Forkful.com for your guide to the #GreatAmericanCookIn, including tips, tricks, and delicious new recipes. Exactly! The tinfoil does all the work! Oh man, I need these for the next football game. Everyone would LOVE them! They’re perfect for game days!